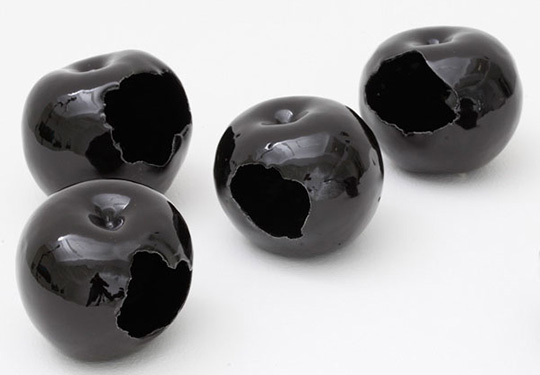 Julia Chiang has created a set of Black Apples, an exclusive set of glazed porcelain art pieces. Chiang’s fascination with flaws and imperfections has spurred her to handmake these apples herself, creating a series of pieces that explore the very nature of decay and what is ‘good’ versus what is ‘bad’. Limited to 50 pieces, you can find these apples here.